Let's take a look at the small changes I made. 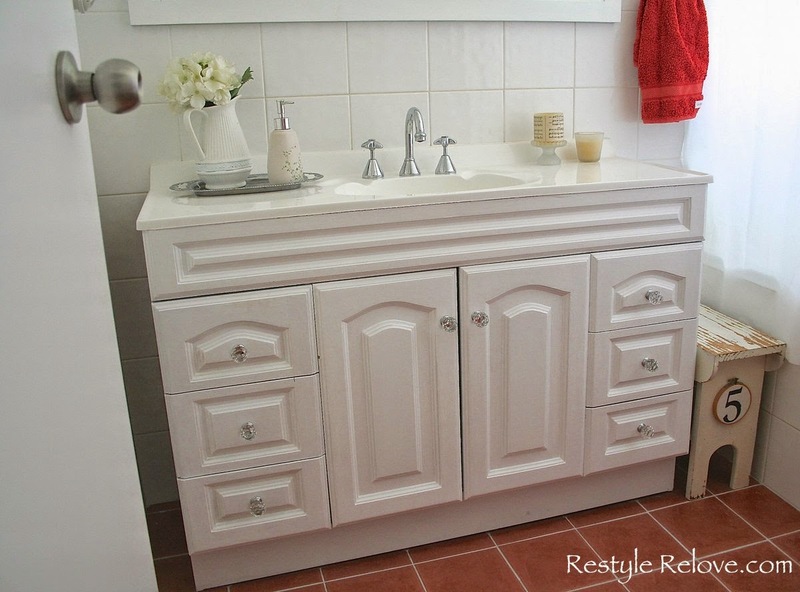 I repainted the vanity white and changed out the hardware with crystal drawer knobs. I repainted the tile grout white. I scraped the paint off the feature tile border. And I changed the black shower curtain rings for white ones. I love it Julie! 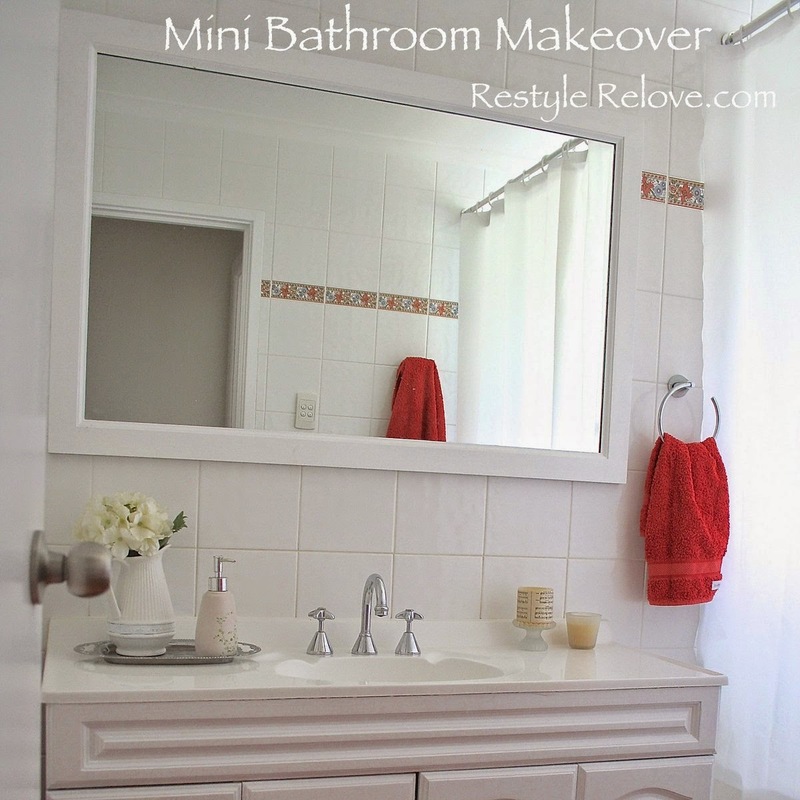 I'm about to start a redo on my main bathroom which has a blue bathtub and sink! 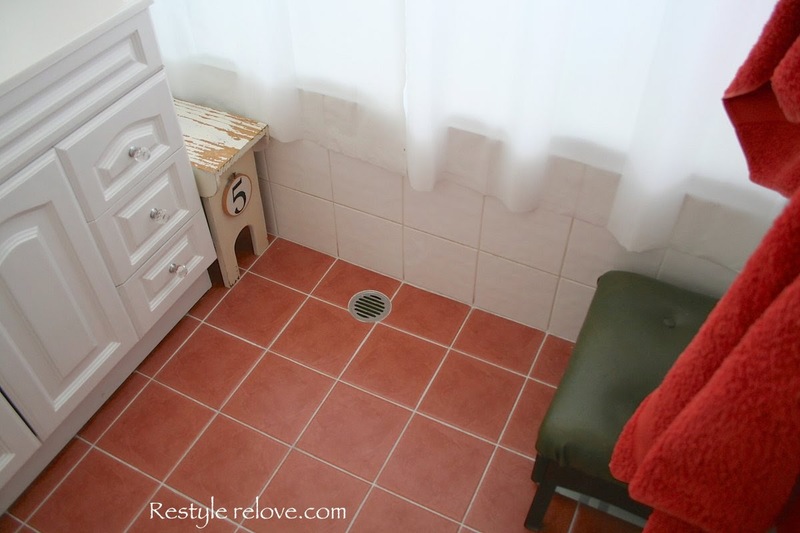 I am planning on embracing those as well and designing the rest of the bathroom to compliment those colors! 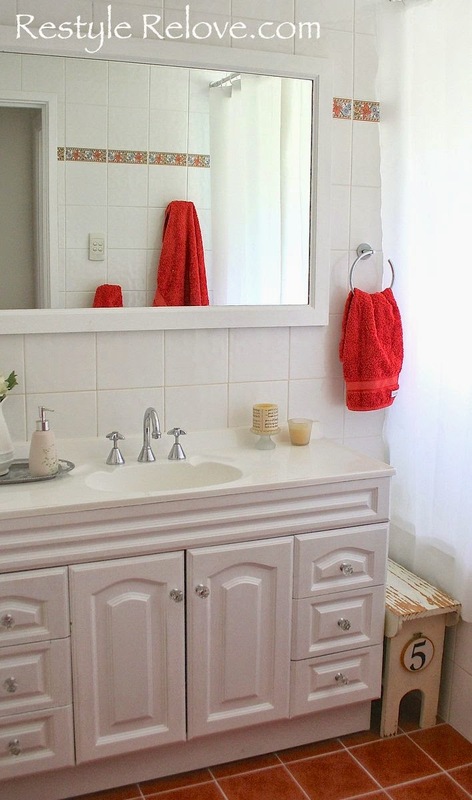 It looks lovely and I love the pop of colour with the border and towels. 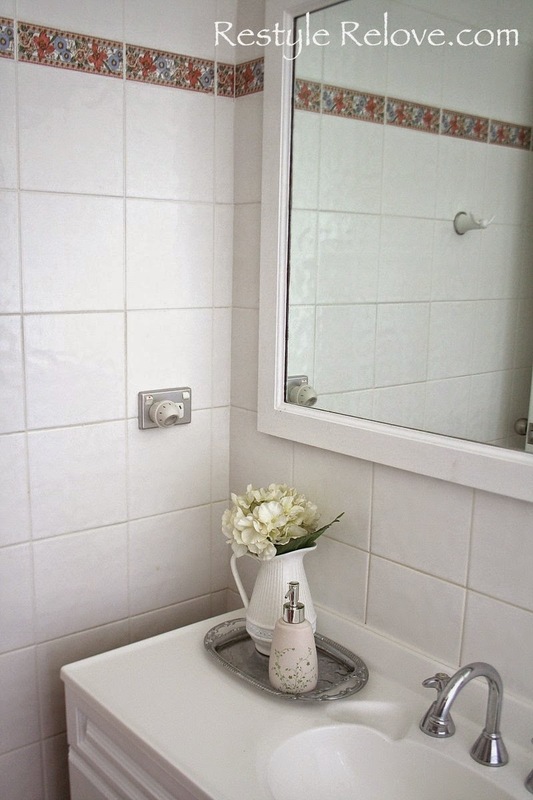 Especially love the crystal knobs. Nice job! We are in the middle of a major bathroom remodel job! I love the color you used to spice up the all-white room!! very pretty, julie! 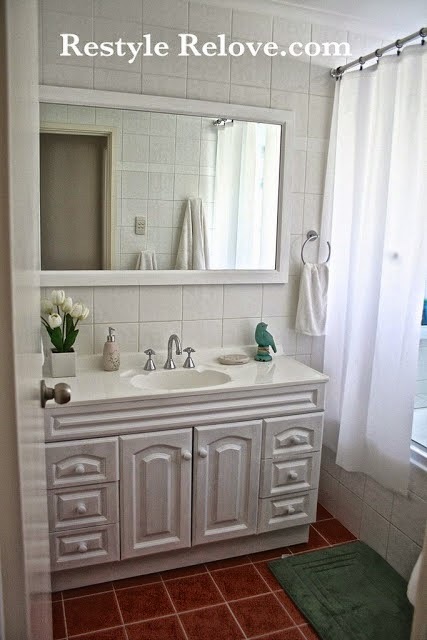 LOVE the crystal knobs and i'm amazed that you got the paint off of the colored tiles! your hard work paid off! I love all your changes! The crystal knobs are wonderful. You've done a great job of embracing a color that may not have been your first pick if given a choice. You've made it look like it was! 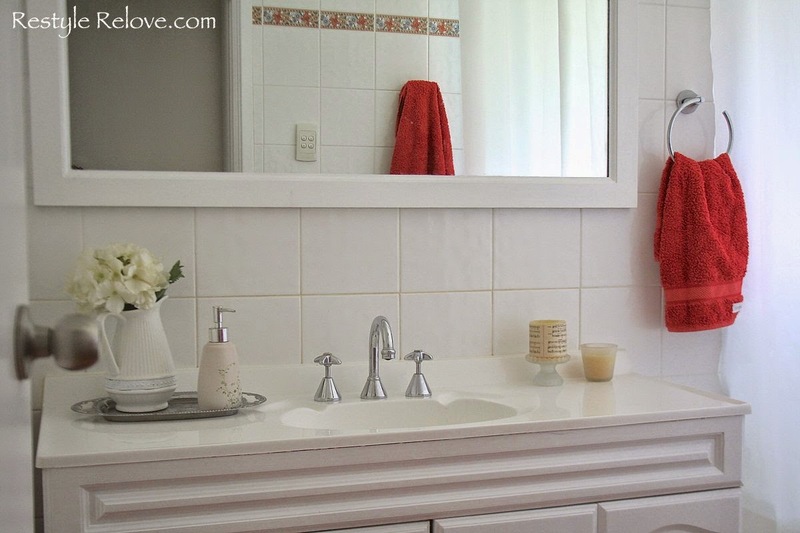 That is a wonderful coral-red towel. Everything looks great! 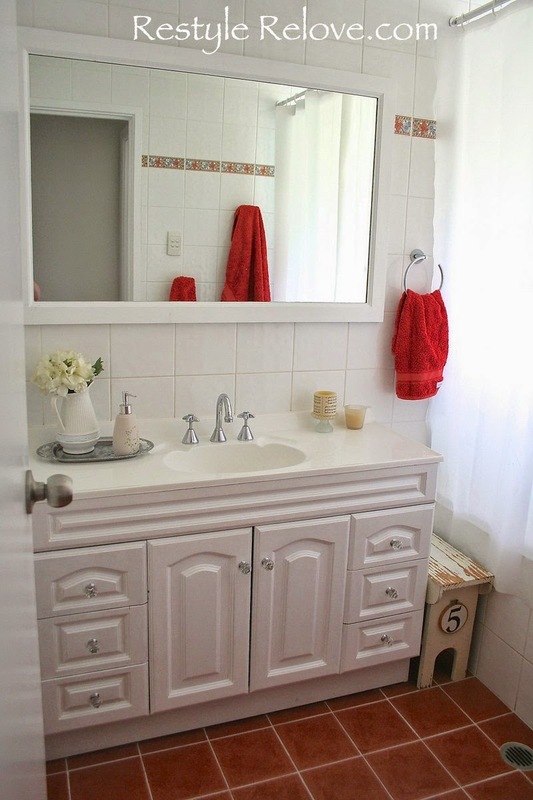 Love the coral read of the towels and your new crystal knobs. Great job!